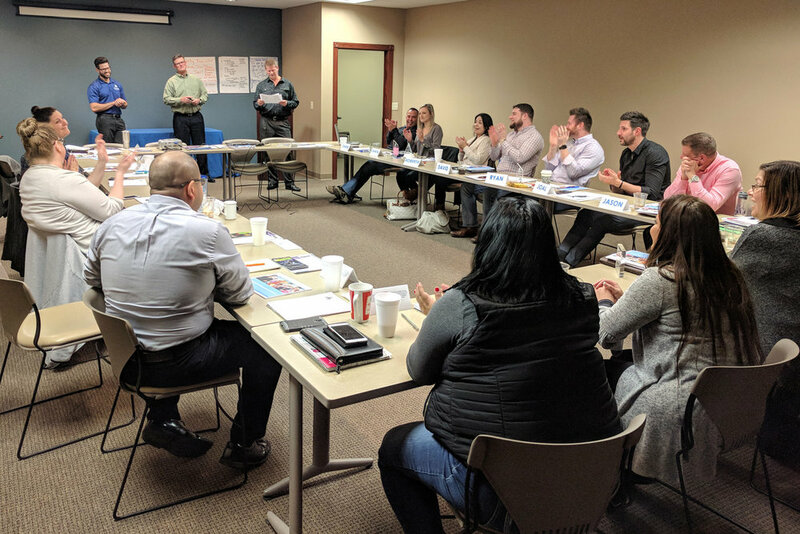 In January we all got to gather at the Corporate office in Grand Island and celebrate a record year at Associated Staffing. The team has been so fortunate to have put in the work, but also be awarded for all the work they did! It is always nice to hear what a year we had, but also what we can look forward to and what we can make for goals! This team has been ROCKSTARS! Check out some of the attached photos! Team ASI! In an interview have you ever had the question, “Why should we hire you?” If you said no, well it is something to think about. We need to know what we would bring to the position, the company, the team. What our value is and why we are the “more” qualified candidate. If you said yes, chances are you had to answer this one already……Did you get the position? Either way, what did you say? Well we thought it might be nice to have some insight to what you should be thinking and how to sell your self for the position. 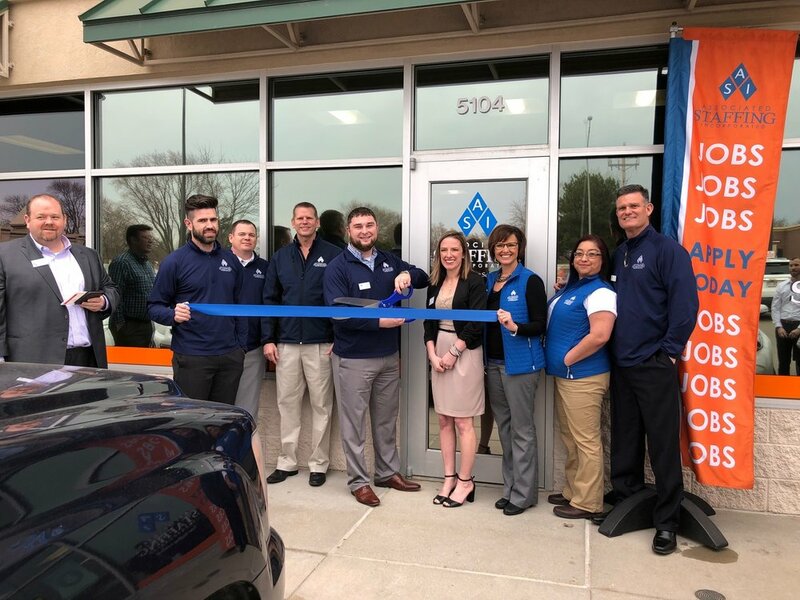 Wednesday we had the honor of joining the Kearney Chamber of Commerce for a Ribbon Cutting at our new Kearney office. We had a nice turn out, wonderful food, and fantastic weather for the event. It was a nice opportunity to tell everyone a little about what we do and have some of the community to our office. We love partnering with the Chamber and appreciate the kind words and help getting it out to the area professionals. We hope to continue to serve the Kearney & Tri-city areas for many years to come. Thank you! Here at Associated Staffing we have had a few promotions! Without these talented employees Associated Staffing would not be able to do what we set out to do. We hire for employers in the area and find talent. 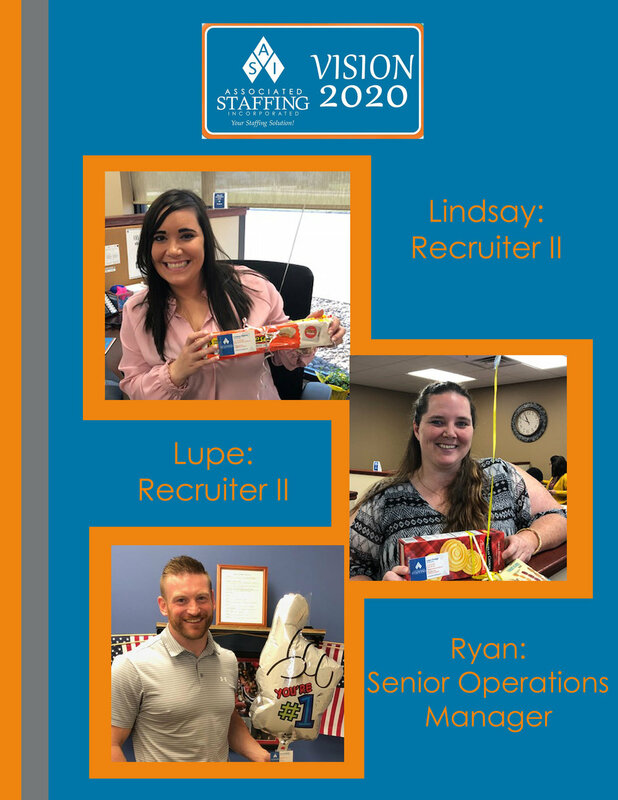 Congratulations to Lindsay, Lupe, & Ryan. Thank you for all you do, you do make the difference! Job Fairs? What to know! Never been to a job fair? Not sure what to expect? Here are a few items to know and how to prepare! Associated Staffing's employees love to get involved with the community, Heidi Isley, the Director of Operations, is pictured below in front of the recycled Gardens at the Nebraska State Fair. Make sure you go check it out this weekend. 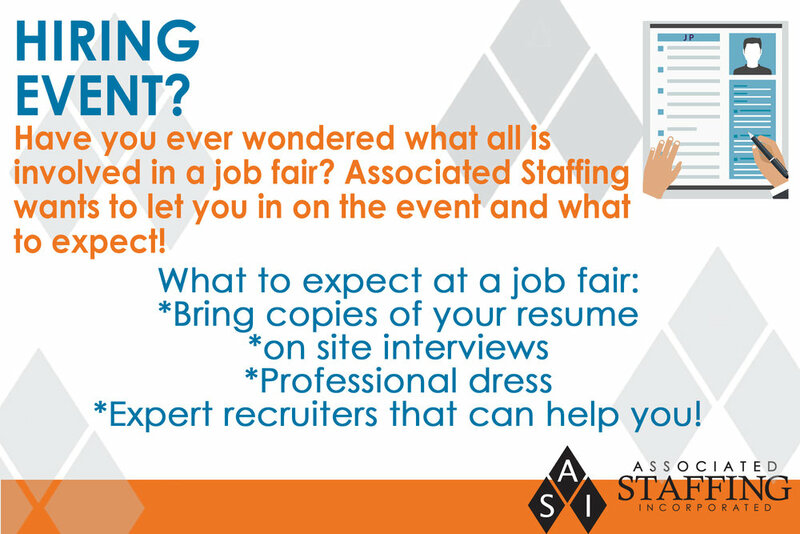 Did you know that 90% of companies are using a staffing agency to fill their openings? 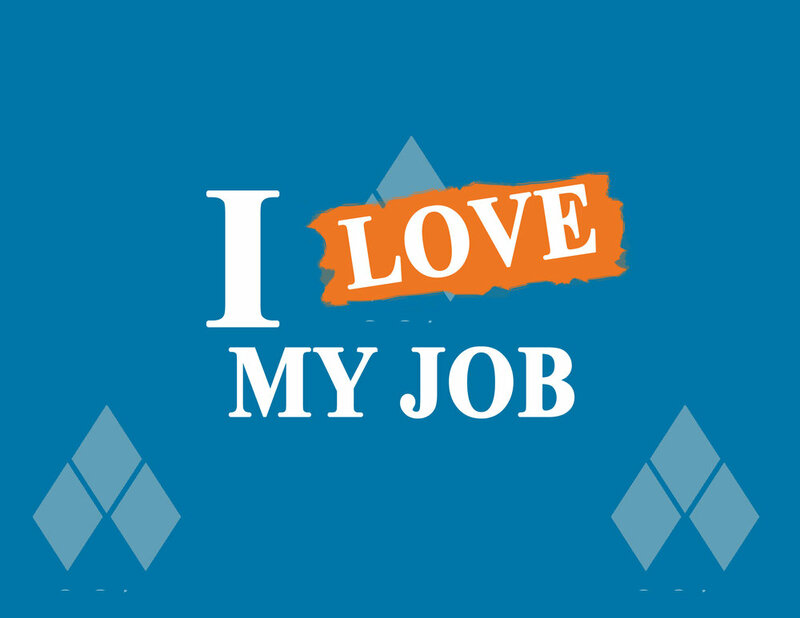 Want to know more about why you should? They are connected to the right people-they work for top employers in your area to find qualified candidates. This is what they know and do! We recently wrapped up our March Madness Bracket Challenge, and what a crazy season it was with many, many busted brackets! Some of us had better luck than others, so without further ado, congrats to our Grand Champion Bracket Winner, Jason; 2nd Place Winner, Chantal; and Worst Bracket of the Year, Amy! We wrapped up 2017 and kicked off 2018 with our annual all-staff meeting yesterday. 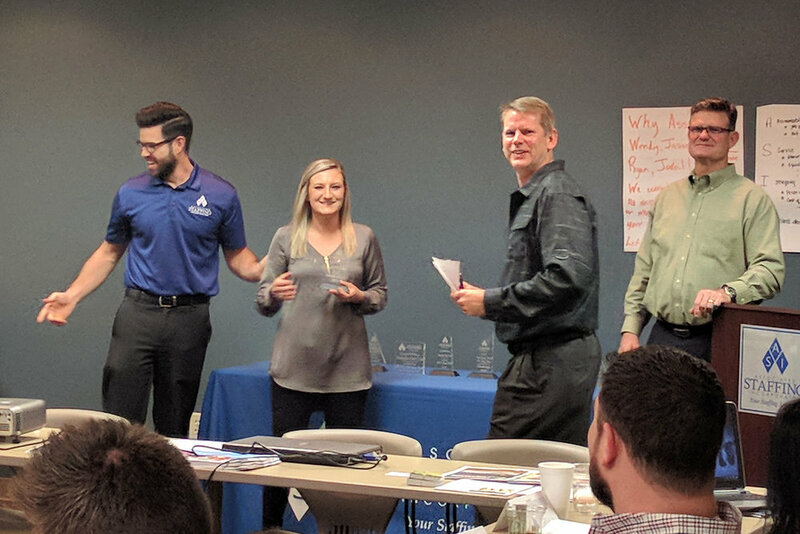 What a great day for everyone to get together, talk strategy, have a few laughs, brainstorm and recognize our awesome staff members! 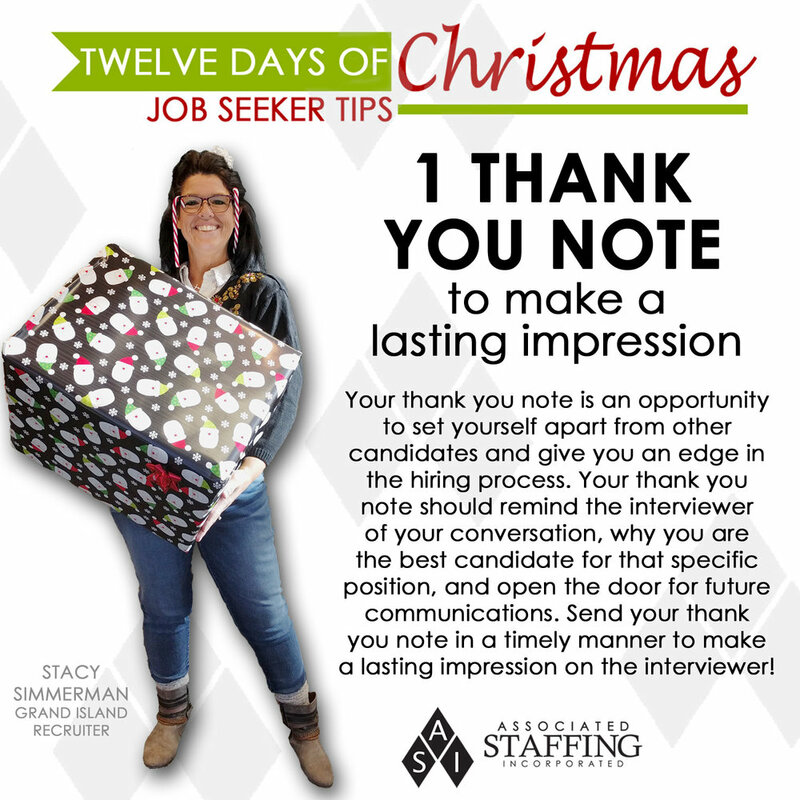 It’s the gift that keeps on giving…the post job interview thank you note! And with that, our 12 Days of Christmas is a wrap! Merry Christmas to all and to all a good night! Ring, ring! Hello? It's your next career opporutnity! Recruiters and hiring managers have to get in touch with you in a hurry. Let your voicemail and email address make a great impression! 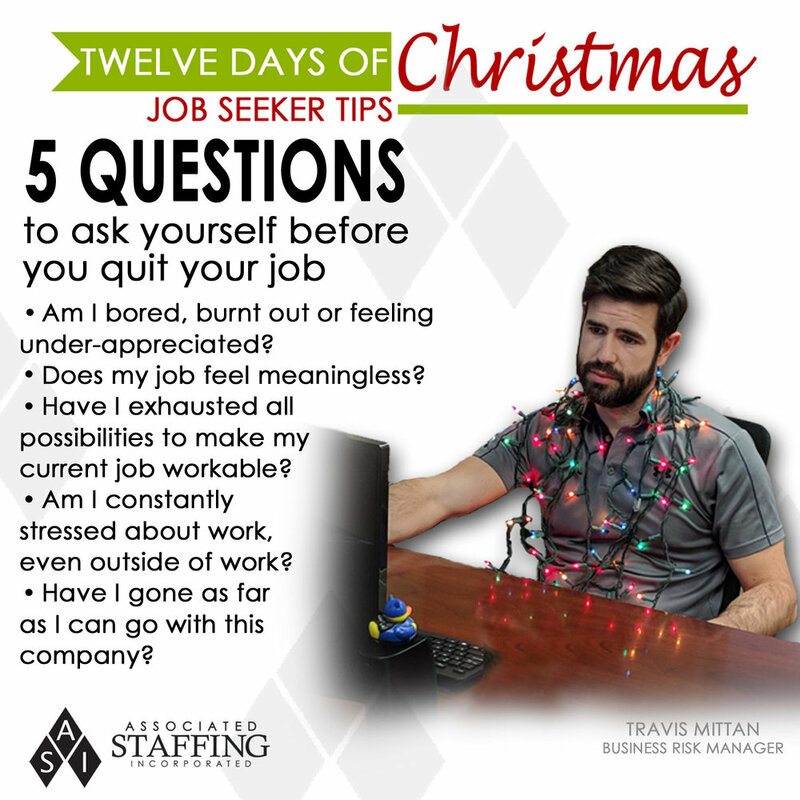 Don't get stuck in your next job interview! What type of handshake are you? Do you think you're ready to hand in your 2-week notice? Ask yourself these 5 questions first! Nobody likes a Grumpy Pants in a job interview. Here are 6 easy nonverbal signals to keep in mind in your next job interview! Do you ever wonder what needs to be included in your online job application? Ask yourself these 7 questions! Don't put a hiring manager to sleep with a boring resume!